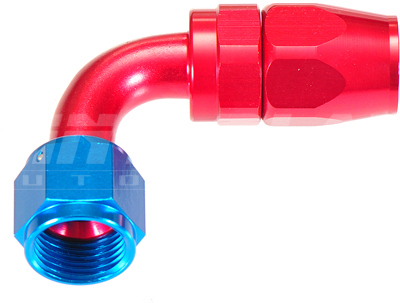 High performance reusable aluminium hose ends to be used with 100 series braided rubber hose. Easy to use and assemble, resulting in a high quality leak-proof seal. The light weight 100 series hose ends are suitable for most applications, offering high fluid flow capacity and high corrosion/temperature resistance.